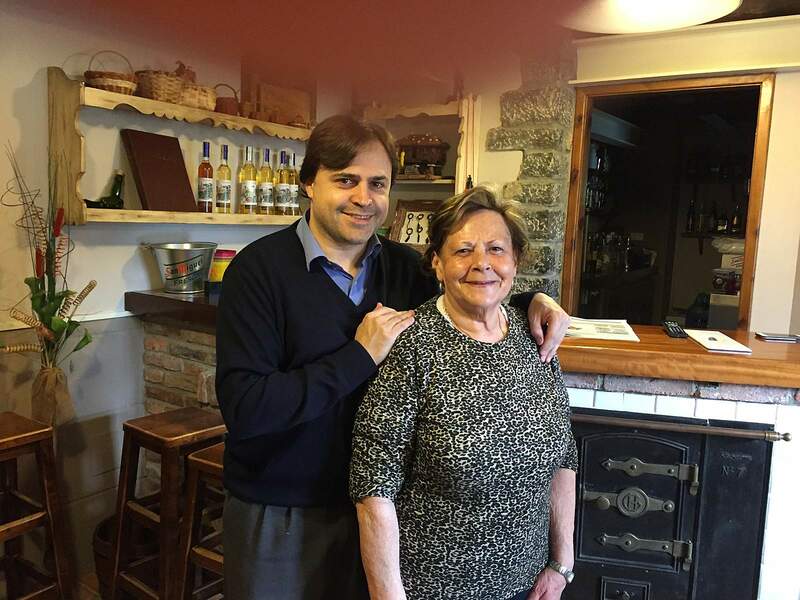 Matti and Ivan (mother and son) are proprietors of the Hotel Costa de Rodiles. A traditional Asturian restaurant in the village of Proazo. Picos de Europa Parque Nacional. Bike riding on the Oso Trail. 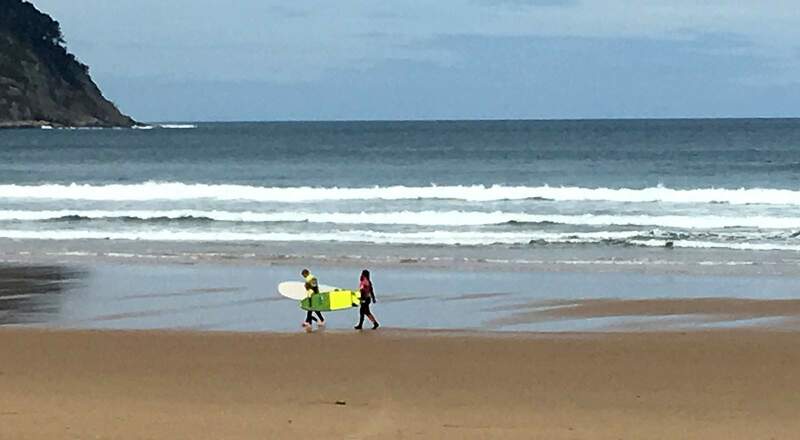 Surfing lessons on Playa de Rodilles. Spring break here in Valencia is the first week in April, so our family decided to take the opportunity to visit northern Spain. We based ourselves in the little town of Villaviciosa to explore the Spanish region of Asturius. The nearby Playa de Rodiles on the Atlantic Ocean is one on the most beautiful beaches I have ever seen, mostly because of its scenery and lack of development. The crashing waves are nestled between stone cliffs with trees and a small village. Next comes the spotlessly clean soft sand with grasslands all around. The next layer is a forest of sweet smelling birch trees with picnic tables nestled under their canopy. Finally, there is a trail and a narrow road bordering white cliffs. 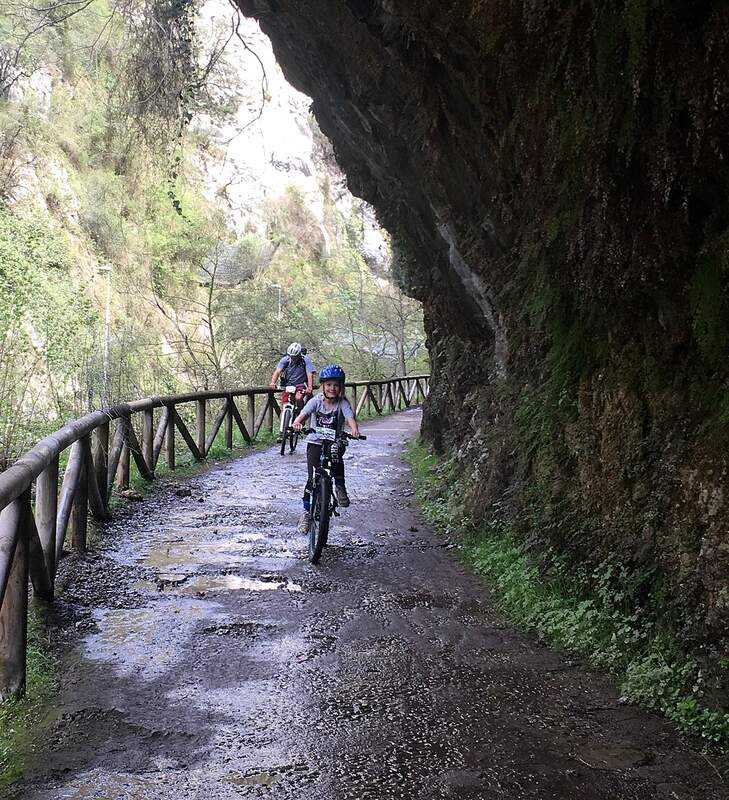 Along the road, under the cliffs, are a few scattered cafes and Pablo’s surf shop, where our kids took a private lesson for only 30 euros. At the end of the road are marshy wetlands with numerous waterfowl species, and a rock wall on which about eight fisherman stand with their sea rods in the water. Most are older men with a bag of food, rubber boots, pipes and caps. The crowds don’t really arrive in Asturias until late May. I think the off season is the best time to be there, not only for the lack of crowds, but the time you can spend talking to the locals and enjoying a personal visit to the gorgeous vistas, beaches, museums and restaurants. We found out about Pablo from Ivan, the proprietor of the Hotel Costa de Rodiles, the place we called home for a week. I cannot begin to do justice to his place and his kindness. We were the only ones staying there, so we had his undivided attention, and a spread of food in the morning, made by his mother, that could feed an army, made of homemade local specialties. Ivan speaks a tad of English, but Carson is becoming fluent, so we haven’t needed much. But, Ivan has perfected the ability to explain things in any language. The first day, he gave us a general overview of Asturias. Every day after, he gave us an itinerary, complete with hand-drawn maps, restaurant recommendations, friends to ask for and trails to walk. At first, we weren’t sure how much we wanted to be guided, but after the first day, we knew he was helping us maximize our time. Every place he told us about was amazing and off the beaten path. The first day we rode bikes up the Oso Trail, a beautiful rural 16-kilometer trail along the Trubia River. 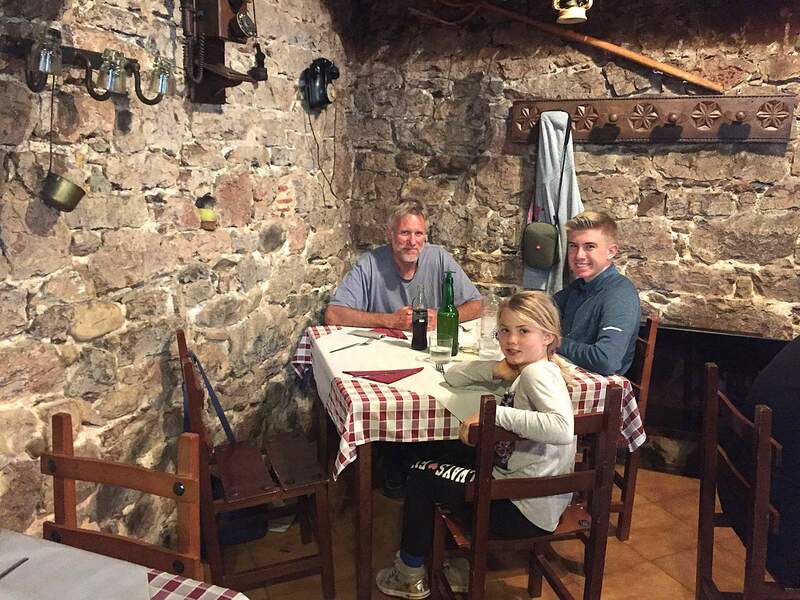 Then, we stopped off in the small town of Proazo to eat la comida in a stone building popular with the locals. It couldn’t be seen from the road, but the food was amazing, serving the northern fare of deer meat and goat cheese on cornbread, bean and sausage stew, and wild boar. Despite how different it was from anything we are used to in either the United States or Valencia, it was amazing. Asturias is also known for its local cider (or sidra). Like Valencia, which has rows of orange groves, Asturias has apple orchards covering the fields and hillsides. Homemade alcoholic sidra is made in each parish. It is served out of barrels and poured above the head to increase the air in it. 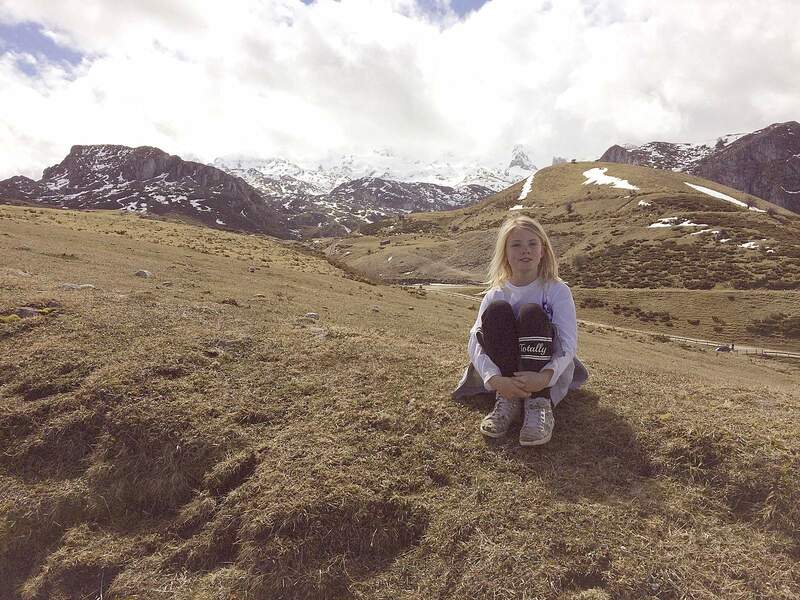 All in all, I liked Asturias the best of all that we have seen in Spain. Rather than going to monuments or the old part of town to see history, the whole place seems to go back in time. Small villages made of stone or painted brightly are scattered among the hills. People fish or grow apples for a living and cook the hearty dishes of their ancestors. It is incredibly green, going from the oceans to the large peaks of the Parque Nacional de los Picos de Europa. As Pablo tells us, this is the only place that you can snowboard in the morning and surf in the afternoon. Most of all, every person we have met has been open and generous, even trying to joke with us in Spanish. They seem to be very talkative and continue to speak Spanish despite our stumbling, waiting patiently for us to get things out. And, Carson thinks the northern dialect is easier to understand, slower and without the “th” sound that Valencians use. Regardless, it is a place to soak in beauty, move slowly, eat well, appreciate the people and savor the ambiance of village life.